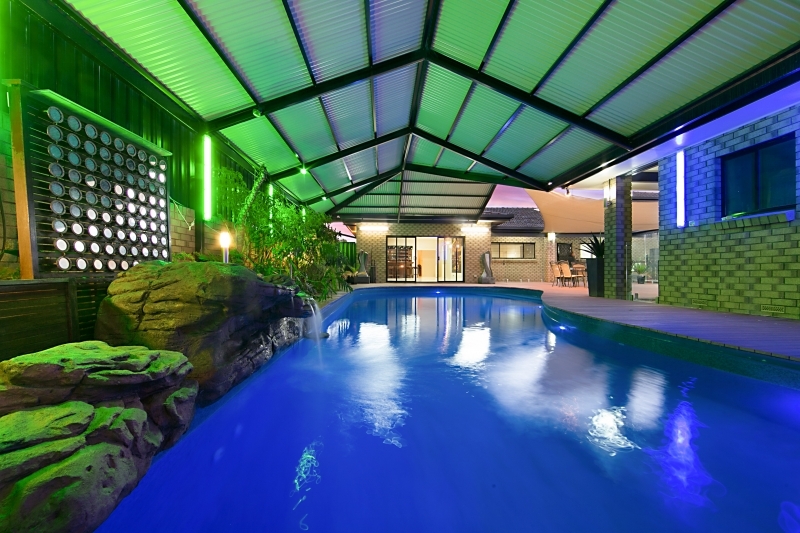 This is an exciting opportunity to acquire a unique and spectacular property of grand proportions offering a flexible multi level layout, abundant accommodation, huge entertaining spaces and a sparkling in ground solar heated swimming pool. 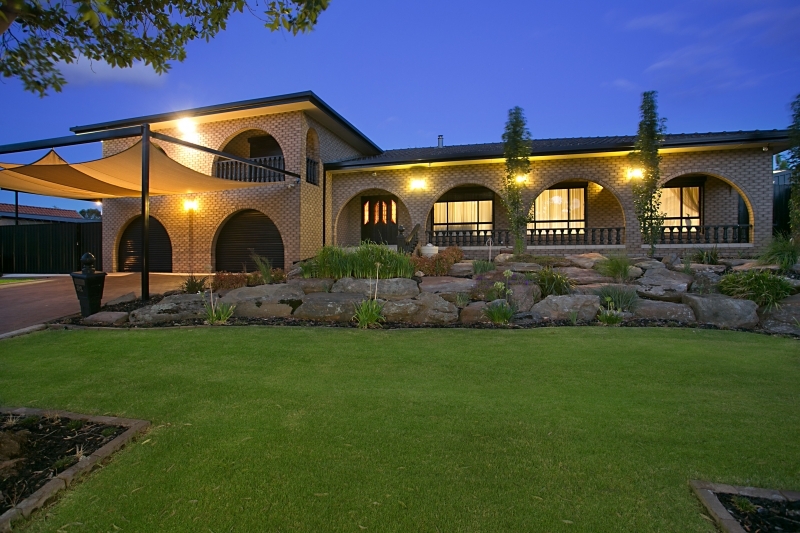 The main residence features an understated frontage with brick archways, wide veranda and balcony, immaculate landscaped gardens and large paved driveway for multiple off-street parking. 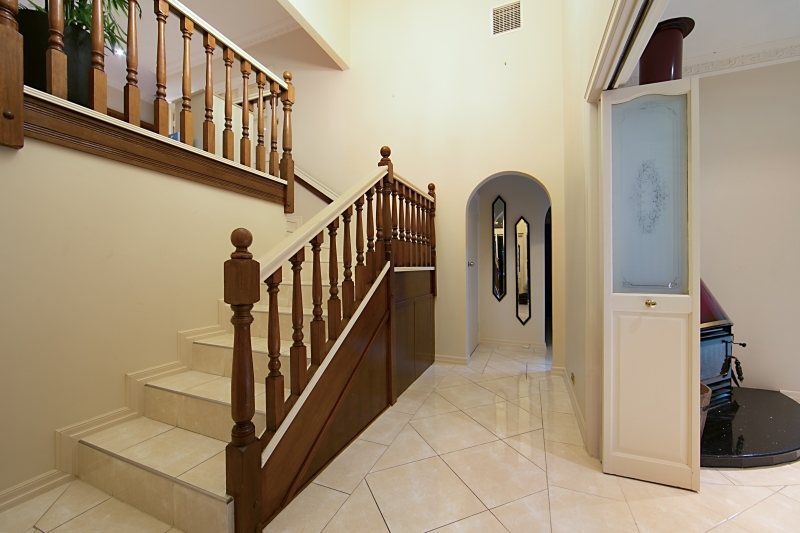 Enter through a stained glass leadlight door into an impressive entrance hall showcasing a stunning chandelier and polished tiled floors which flow throughout the home. 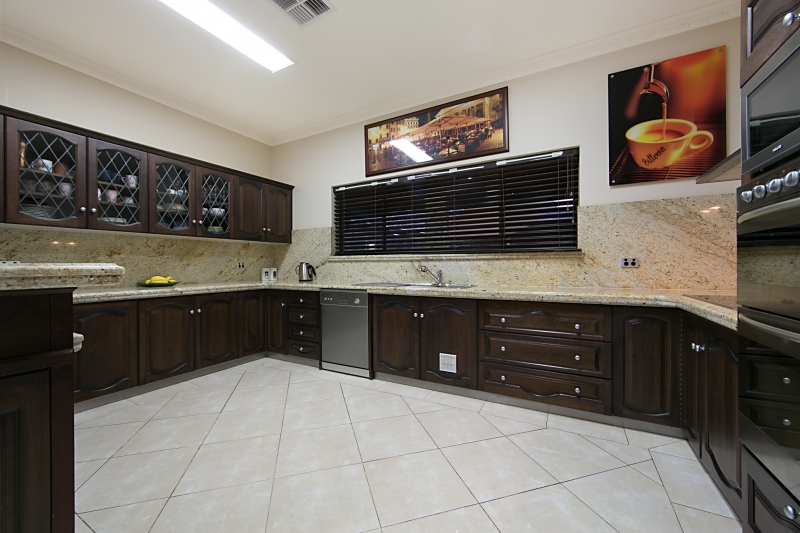 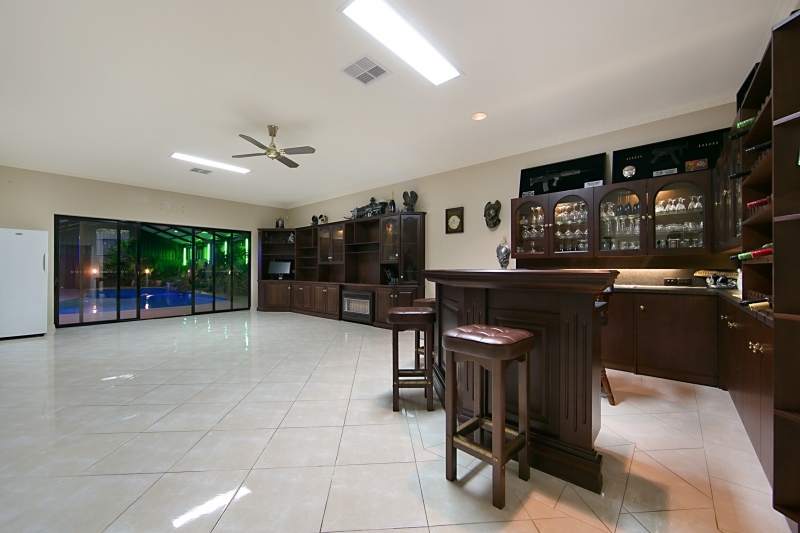 This level is comprised of a large formal lounge with fireplace, elegant dining room, huge timber kitchen with solid granite tops and stainless steel appliances, casual meals area and a massive family games room with traditional built in wet bar. 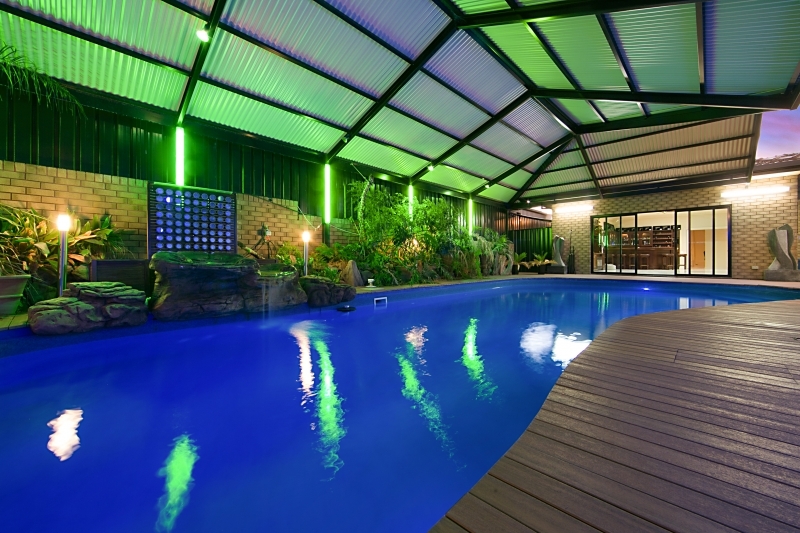 Wide glass sliding doors overlook the undercover swimming pool featuring a waterfall and surrounded by timber deck which includes shade sails and glass safety fence. 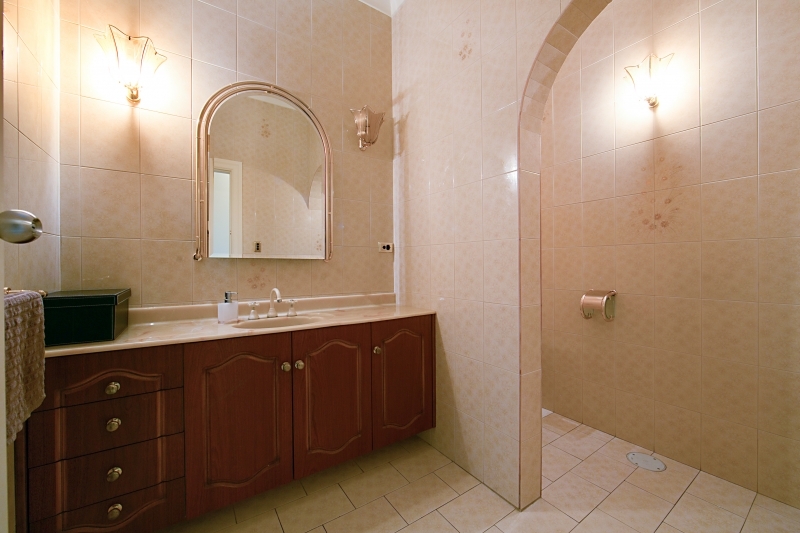 There is also a guest powder room and generous laundry with built in cupboards. 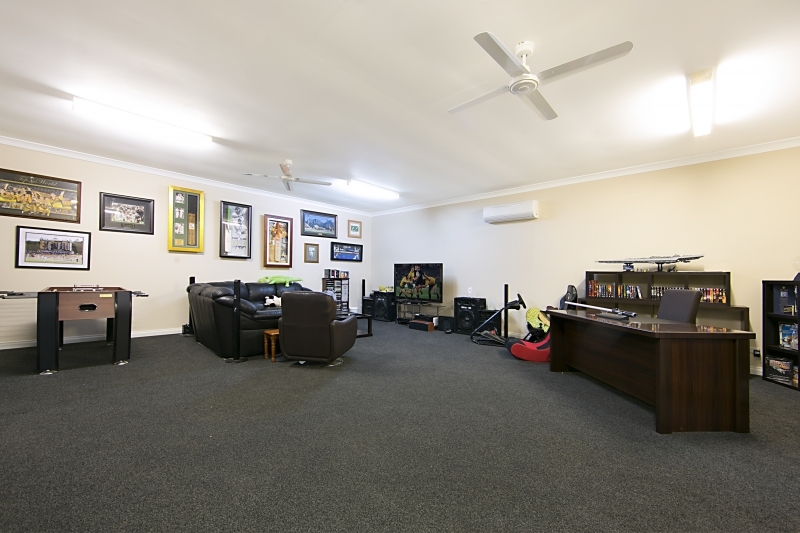 Steps lead down to the split-level lower ground floor which features a huge home theatre that is fully carpeted and includes tiered flooring and split system air conditioning. 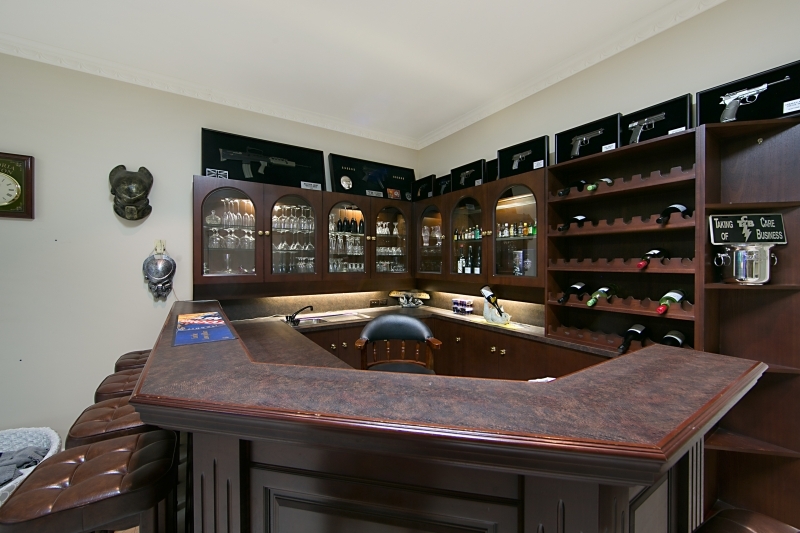 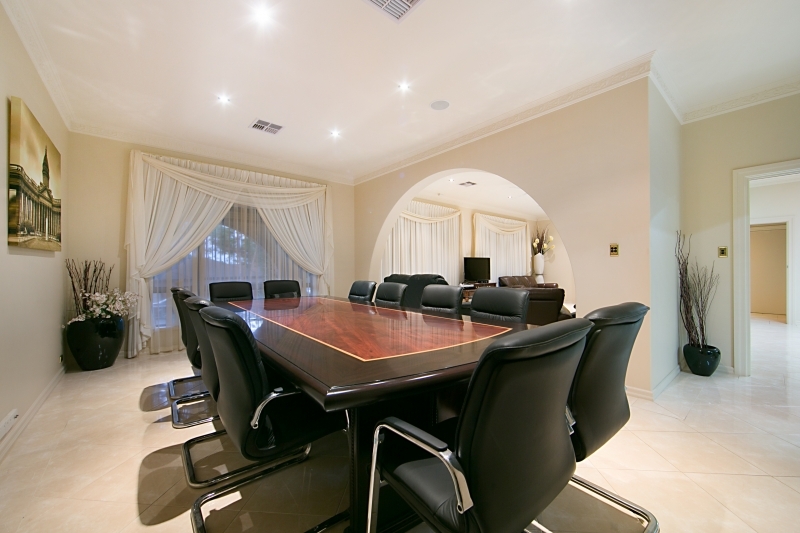 There is also a large private study/home office, three convenient storage rooms and a guest bathroom. 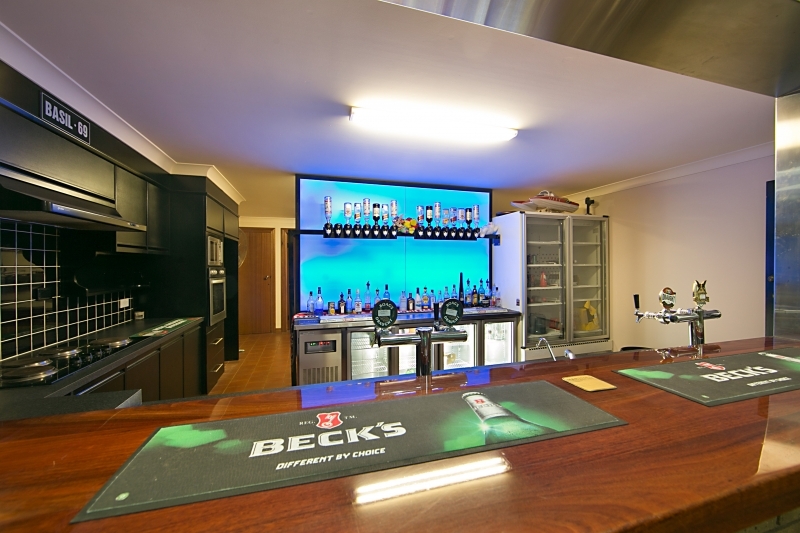 A fabulous kitchen built for entertaining boasts a full wet bar with polished timber top, glycol beer system and 4 beer on tap. 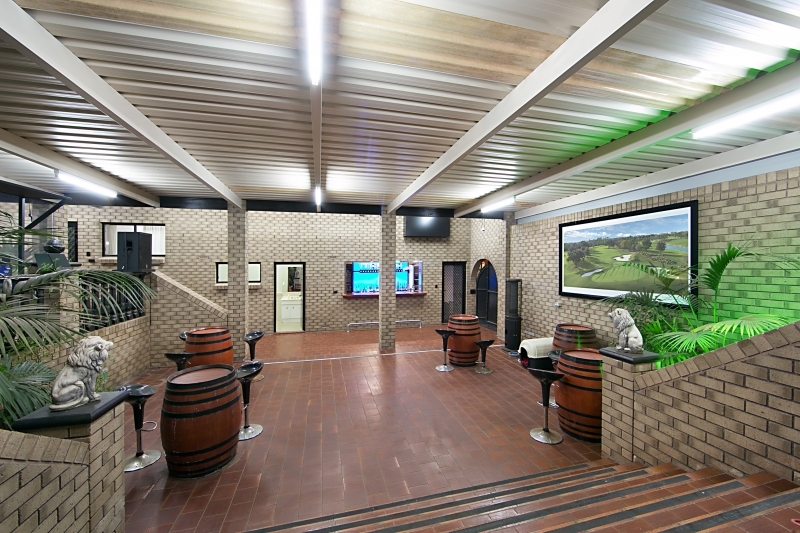 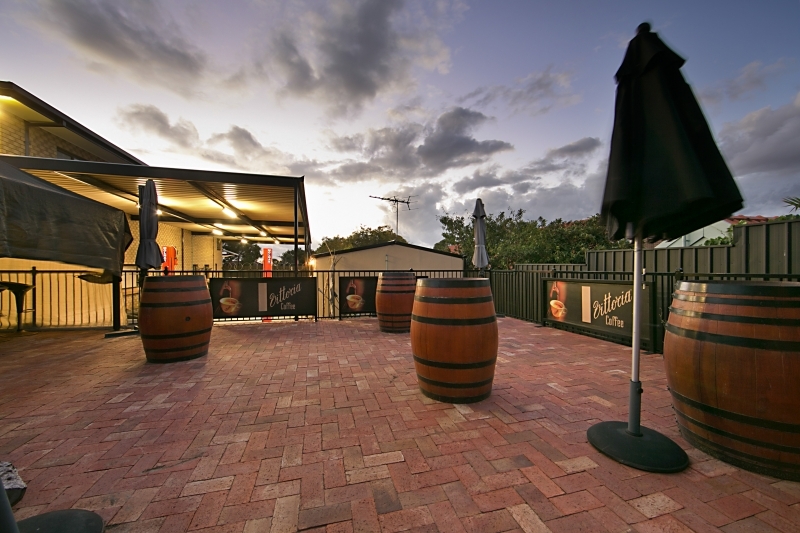 It services the huge beer garden which is fully undercover, semi enclosed and features a terracotta tiled dance floor. 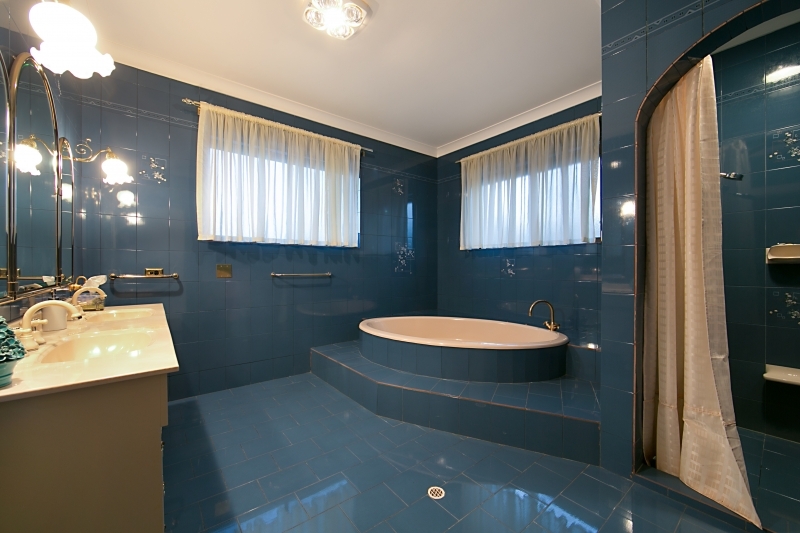 This level is comprised of four generous bedrooms, a central hall area featuring a huge built in linen cupboard, luxurious family bathroom with oval spa bath and twin vanity, separate toilet and large walk in linen closet. 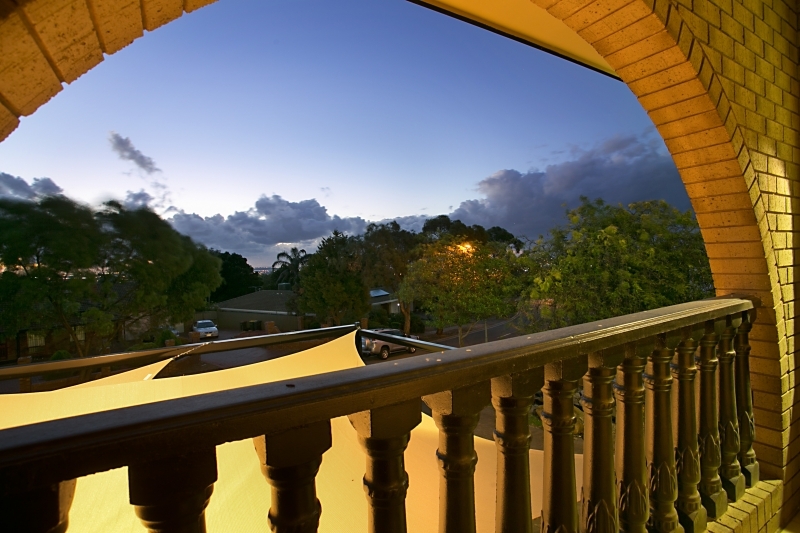 The master bedroom boasts a fitted out walk in robe, spacious ensuite and direct access to the wide tiled balcony with views overlooking the front garden. 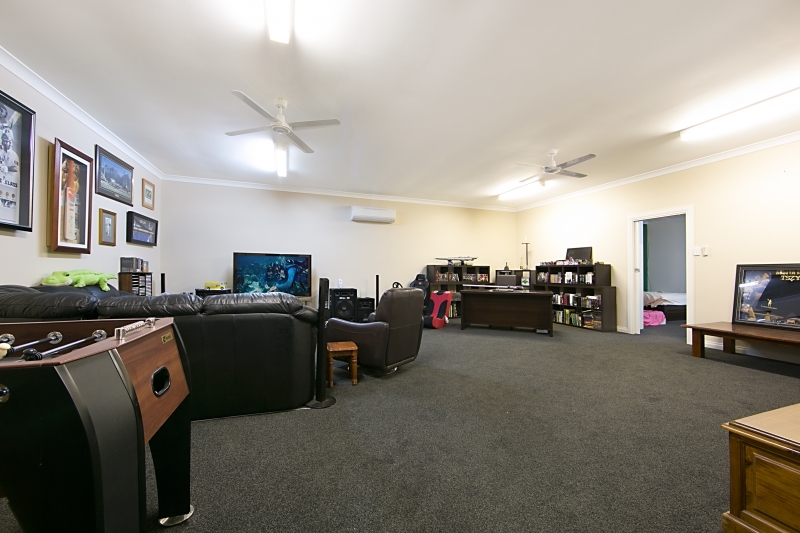 At the rear of the property is a separate brick building offering self-contained living ideally suited as guest accommodation or extended families with elderly parents or teenagers. 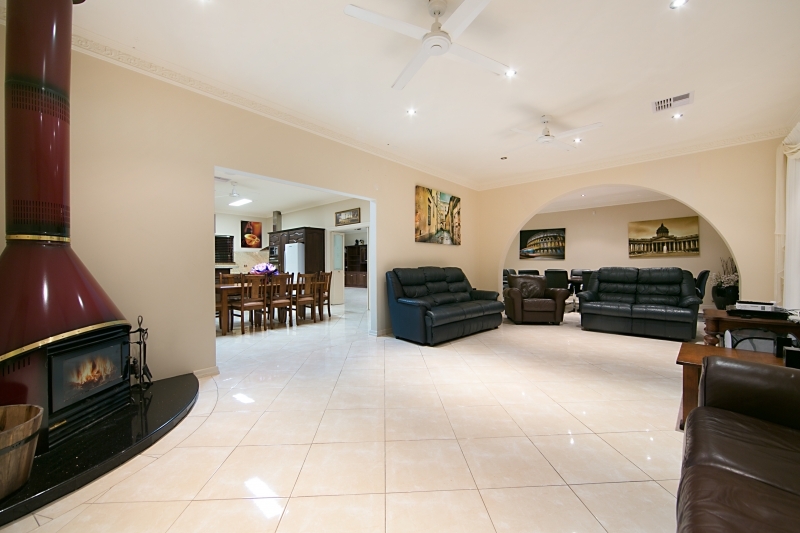 It is comprised of a huge living area and adjoining large bedroom with built in robes. 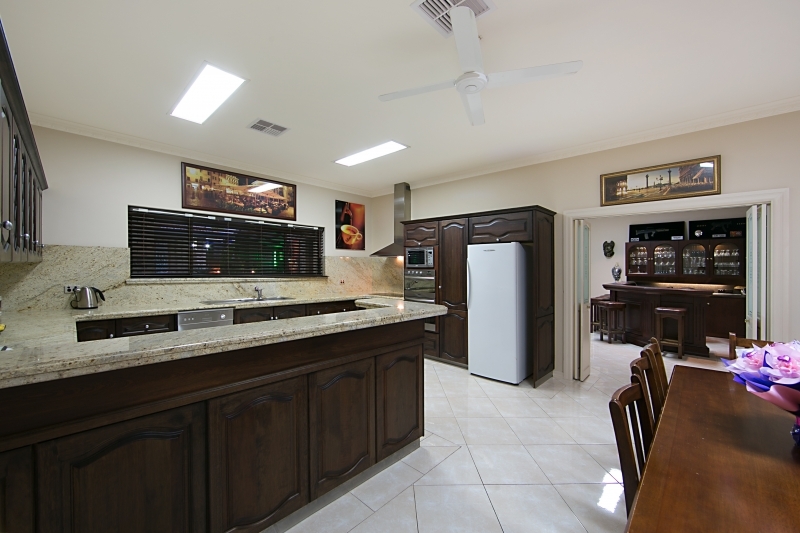 These both include split system reverse cycle air conditioners and ceiling fans. 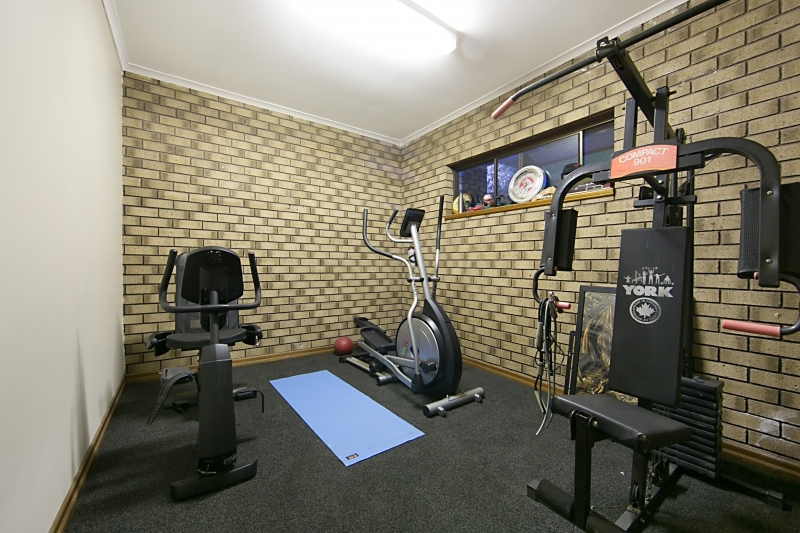 There is also a private gym room plus a bathroom which has been fitted with its own gas hot water system. 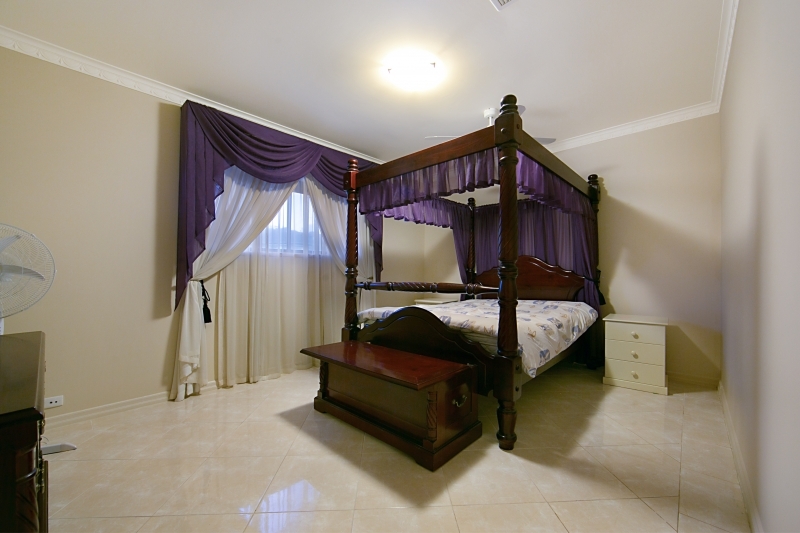 Another adjoining bedroom features its own separate entrance and includes a large dressing room or retreat. 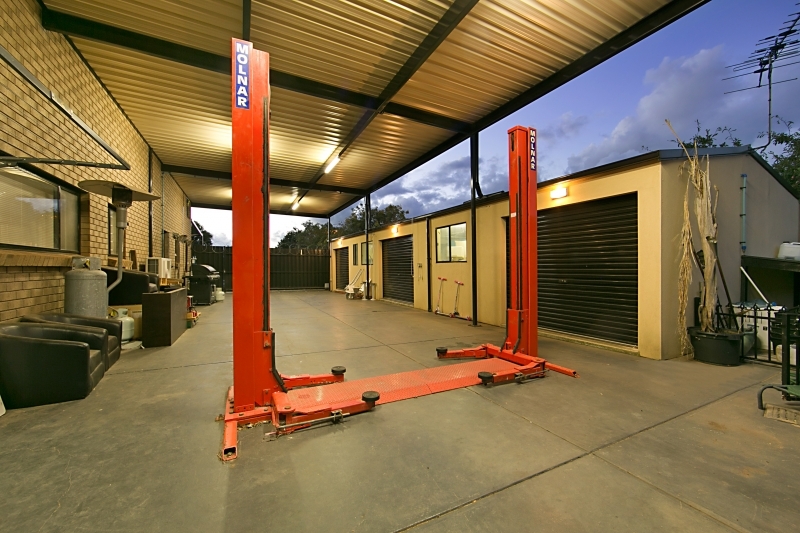 The building also includes two secure storage garages both fitted with roll-a-doors. 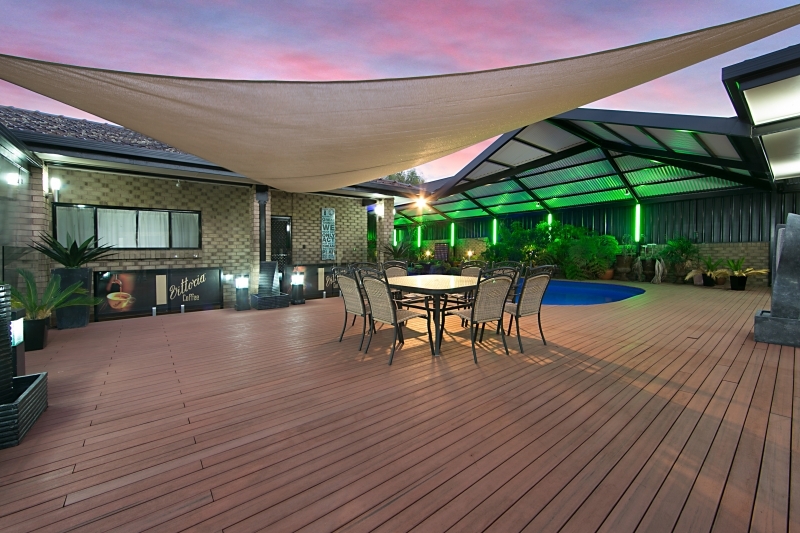 Outside is a large fully paved elevated terrace surrounded by tubular steel fencing with gate. 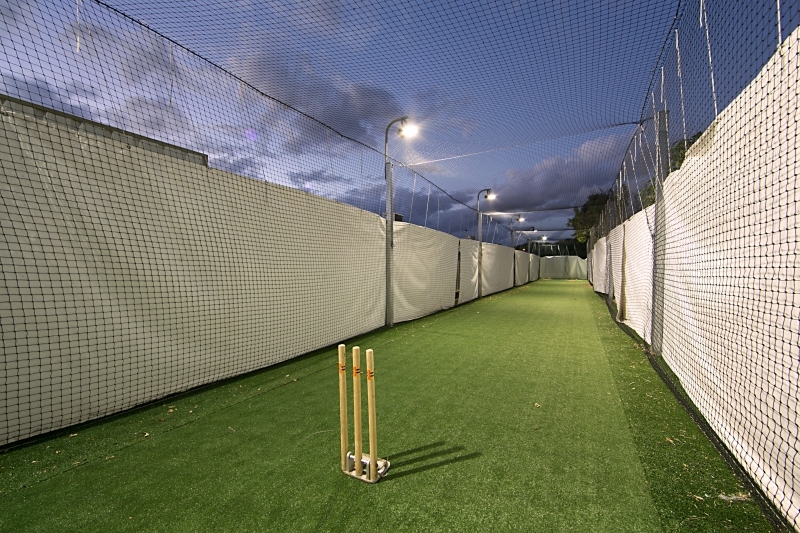 A surprising hidden feature located behind this building is a fully netted 33 metre cricket pitch or golf driving range. 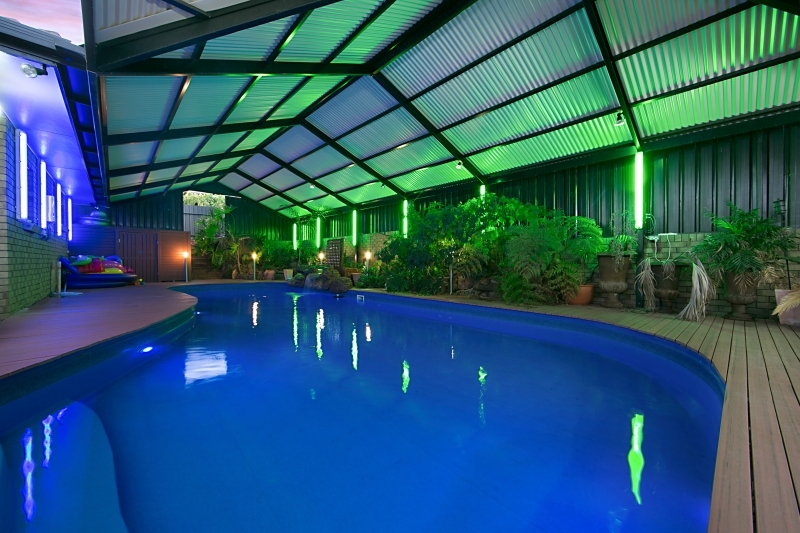 The property features private and secure undercover parking for multiple vehicles. 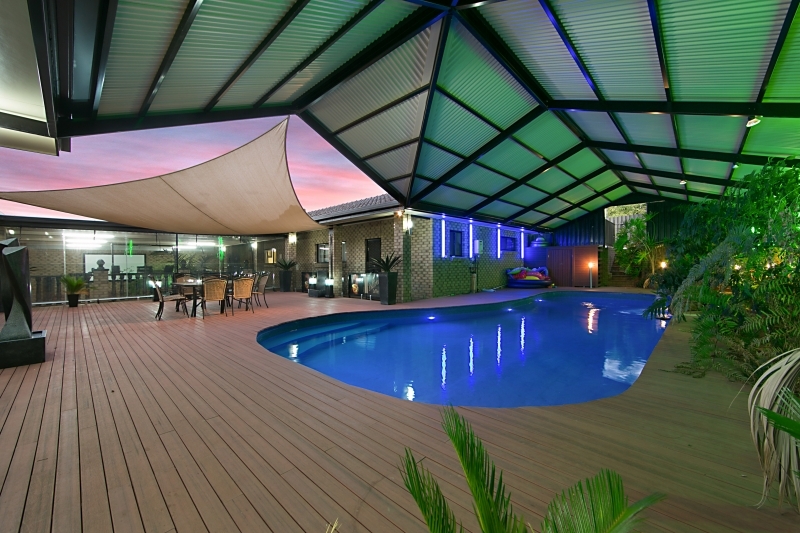 A massive carport includes an electric remote controlled gate and extra tall clearance height suitable for boats, truck or caravan. 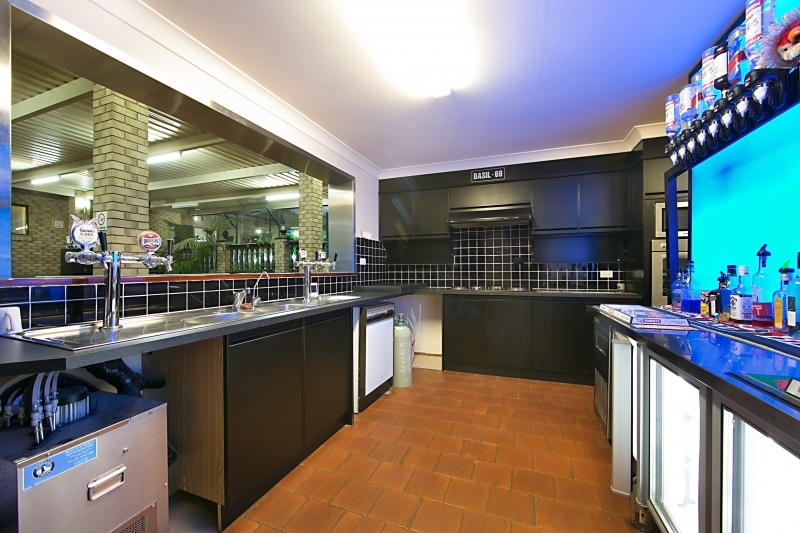 The adjoining triple garage/workshop features a toilet plus a sink with running water.